Sometimes a little winter magic is a good thing! 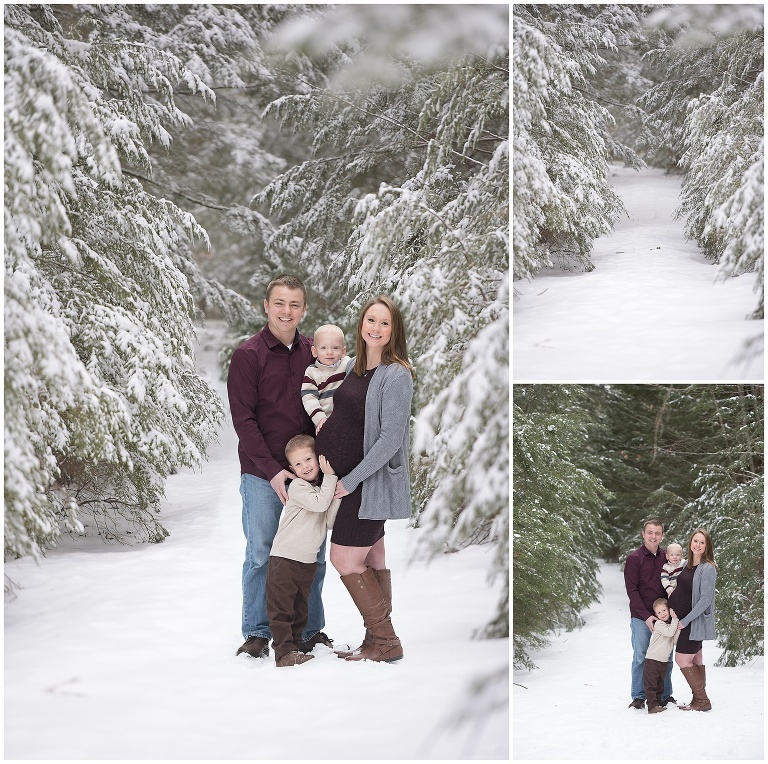 When Roxanne contacted me for an outdoor maternity session my heart sang because I love outdoor sessions and this year, Mother Nature has gifted NH with lots of pretty snowfalls this winter. Unfortunately, Mother Nature is also very indecisive and she may give us beautiful snow covered trees one day and pouring rain the next….